There is perhaps no worse feeling than turning on lights in a room at night only to see dozens of cockroaches scatter across the room in search of a dark place to hide. Cockroaches are an extremely unpleasant pest to have in your home and can be a cause for concern as they have a detrimental impact upon the health of those living in an infested home. If you believe cockroaches have invaded your home, our home pest control services in Sacramento are just a phone call away. We can help you tackle any pest infestation and work with you to find the right solution for eradication. Not only do we provide extermination services, we also believe in providing our clients with the education they need to understand more about the pests that invade their homes. Check out the following information which covers everything you need to know about this unsettling insect. Known for their ability to survive in seemingly any condition, cockroaches are a small but sturdy insect with a broad, flat body. As insects go, cockroaches are on the large side and depending on the species of cockroach, they can be anywhere from half an inch in length to two inches. These pests have long antennae and a shield-shaped, armored section of their body directly behind their head. 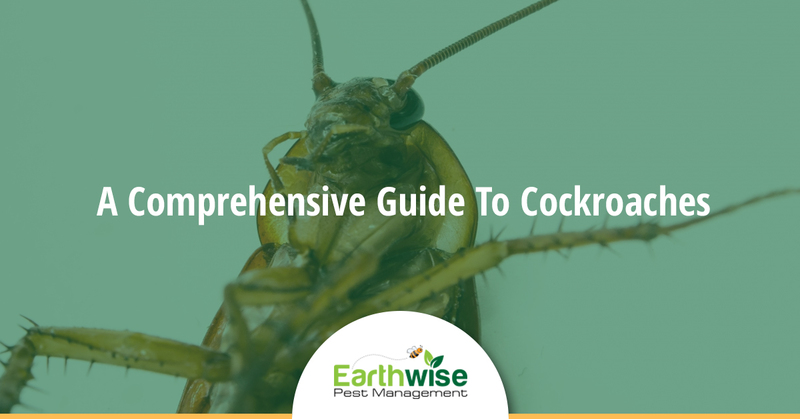 While spotting any cockroach is an unpleasant experience, it is important to note that there are a few different cockroaches that live in the area, which pose different risks to your home. There are six prominent cockroach types in our area — German, brownbanded, Oriental, smokybrown, American, Turkestan, and field cockroaches. Of these six cockroach types, the German cockroach is the most likely to invade buildings and take up residence indoors. The other five cockroach types prefer to live in more secluded locations, although some of these species can be found in basements, inside walls, and amongst clutter in the home. German cockroaches are light brown with two dark stripes. These cockroaches are most likely to be found inside your home, apartment, or another dwelling, as well as in commercial kitchens and restaurants. They love food preparation areas and anywhere food is stored. They can also be found in bathrooms and other storage areas. They are well known for their love of warm, damp places — basically anywhere out of the reach of the sun. Unfortunately, cockroaches are a pest that cannot be ignored. They are able to reproduce rapidly and they pose serious risks to the health of those living near them. They will contaminate your food and are known for carrying a slew of diseases including the hepatitis virus, coliform bacteria, salmonella, and more. As if these diseases were not enough, cockroaches are also a huge irritant to those with allergies. When they take up residency in a home, anyone with asthma tendencies will also be at risk for worsened conditions. Cockroaches are nocturnal and will rarely be spotted during the daylight hours. They prefer to tuck away in tight spaces where they are protected and in the dark. Cockroaches will be attracted to any food they can easily access and are also capable of destroying fabric and paper to reach a food source. They will leave behind stains and a distasteful odor on surfaces they contaminate. When it comes to the Life Cycle and reproduction of cockroaches, the German cockroach is the fastest to infest an area. One female can carry a new egg case of young every few weeks, with each egg case containing around 30 young. Because of this rapid reproduction rate, one female cockroach can be responsible for populating an entire building in no time at all. Within a year, you will be facing a serious infestation of thousands upon thousands of cockroaches. When a cockroach hatches, they go through a period of time in which they are not fully mature and cannot reproduce. This stage, called the nymph stage, also means that they are without fully developed wings. The length of this stage is dependent upon which species is in question and the conditions in which they live. Generally, in proper conditions, a cockroach can reach adulthood within weeks. If you have identified any type of cockroach in your home or along your property, it is time to call in the professionals. Cockroaches are difficult to eradicate due to their sturdiness and their ability to reproduce rapidly. Our expert home pest control team in Sacramento can tackle the situation and find the appropriate solution for your needs. The moment you spot your first cockroach or see signs of this pest in your home, contact our team. We will get to work immediately, leaving you and your family safer and healthier than before. 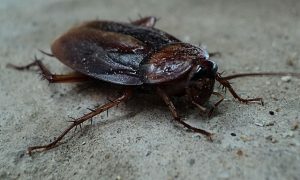 Not only do we provide cockroach eradication for homes, we can also help with commercial buildings. Reach out today to learn more.